The world is not the same as it was about 10 years ago. We are wildly progressing towards a future that’s brimming with technological innovations. These intelligent vehicle concepts are there specifically for the future. They will certainly be useful and will ensure the comfort and safety of the users. Hybrid vehicles like Icona E3WM are amongst the leader amongst the innovative vehicles. We can surely expect them to become mainstream in the distant future. With increasing traffic, scooters are becoming hot favorites among the population. Keeping this trend in mind, Italian-Chinese Studio Icona Design has come up with a three-wheel scooter that will get powered with electricity. Dubbed Icona E3WM (Electric 3 Wheel Mobile), it needs 4-6 hours to charge fully from a normal socket. While riding one, you will get to experience the comfort and safety of a car coupled with the liveliness that comes wrapped when on a scooter. The three wheel ride has a range of almost 150kms and 2 people can easily travel on it. Drive it on the city roads and be ready to grab attention. Unlike two wheel drives, E3WM is much more stable because of an added wheel. It also has a roof which will protect you from harsh sunrays. Being electric, it will not contribute any polluting substances to the atmosphere. The scooter will also cut down all the fuel expenses, which burn a big hole in our pockets. The façade has been given a curvy look, which further gets enhanced with the cuteness it has to offer. Two wheels have been placed in the front while the rear has just one wheel. So, go on an E3WM scooter ride either alone or with your friends and I bet the experience will be nothing less than enchanting. In the modern world, everything is changing with a pace, people are expecting variety in every field. The developing tastes of people are encouraging engineers to be more expressive in their work. Automobiles have come up with highly innovative designs. Following are a few bizarre looking vehicles that will give you an idea of what we are talking about. GM’s Electric Networked Vehicle concept aim to solve the problems of people who deal with daily traffic jams while going to work or anywhere. The important elements of cars and computer networking give rise to make this electronic pod. 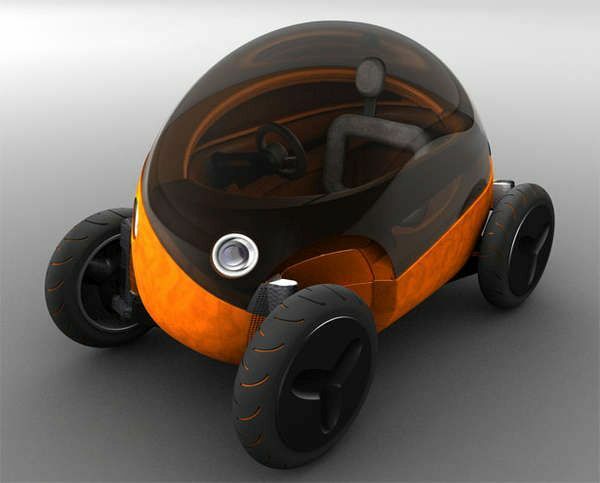 This creative vehicle has a pod shape and is compact in its size and shape. This cute looking vehicle gives you a new way to explore your urban city. 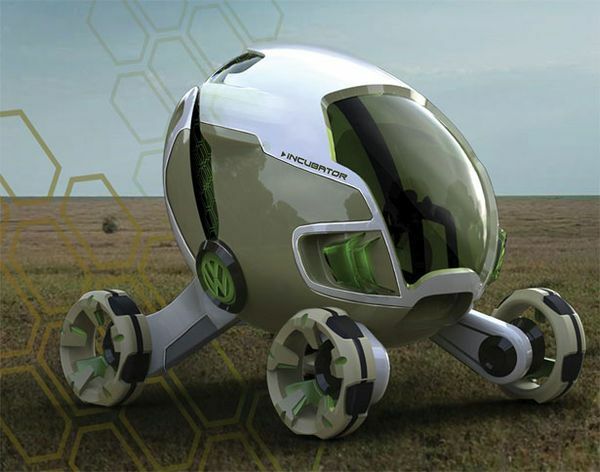 The pod shaped vehicle is eco friendly belongs to Icona E3WM, which also owns some Other Innovative Modern Vehicle Concepts from biodegradable plastics. It has fingerprint door opening and sensors that detect any obstacle during traffic or while driving. 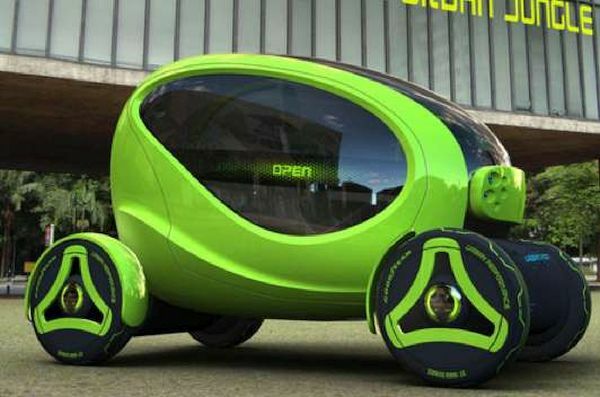 The neon green color of the urban pod vehicle gives the user a stylish way to go green. Garcia-Verdugo designed this appealing two-seater vehicle. 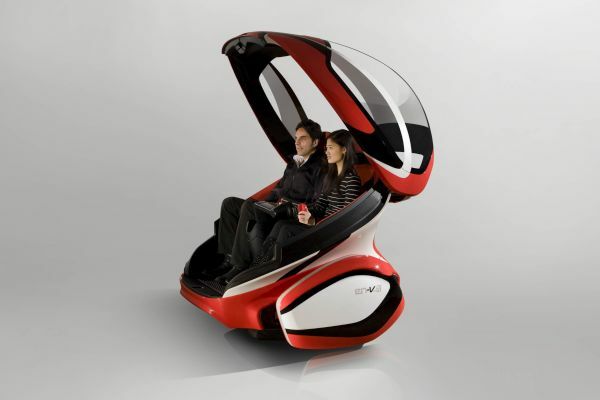 This bug shaped vehicle is compact and gives the user a convenient way to deal with traffic jams. The shape of the vehicle keeps the body aerodynamic and the sleek transparent roof gives the user a cozy feel. Dong-woo Nam has created an eco friendly vehicle that will aid in rescuing sick animals. The Incubator car concept will work by making use of geothermal energy. The solar panels on the wheels that absorb solar energy from the ground. The incubator vehicle is concept for now but it might inspire other designers to incorporate its few features on safari vehicles. Jex Chau inspired by a wheel shape and created an innovative vehicle. 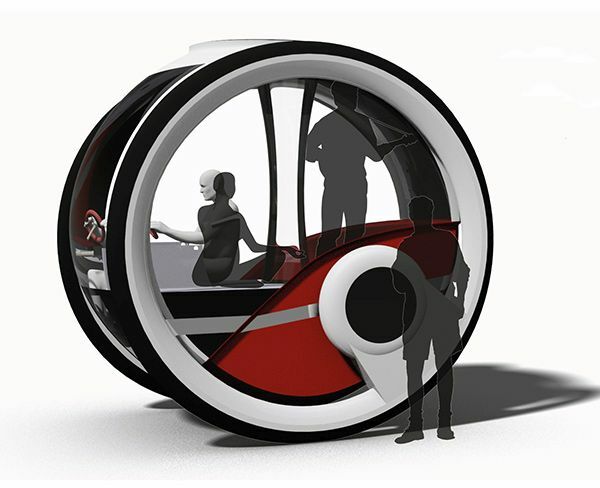 This futuristic design is a hydrogen-powered vehicle that will provide a comfortable ride to the users. The traffic will surely increase in future years and then this intelligent design of Jex Chau will act as a rescuer. Undoubtedly the bicycle is the most eco friendly commuting mechanism for urban settings. It helps cut down pollution, ensures good health and gets you to places with ease through heavy traffic. Given all the benefits the humble bike endows let’s take a look at Carrier Bike from Korean designer Shin Hyung Sub Shin. The foldable bike changes forms to function in both carrier and riding mode. The bike design lays great stress on comfort in helping the biker carry belongings. The foldable structure of the bike has a shelf right in the center to store the user’s miscellany stuff. Even as the bike makes transition from carrier to bicycling mode the storage shelf remains in place without hindering riding ability in any way besides preventing theft. 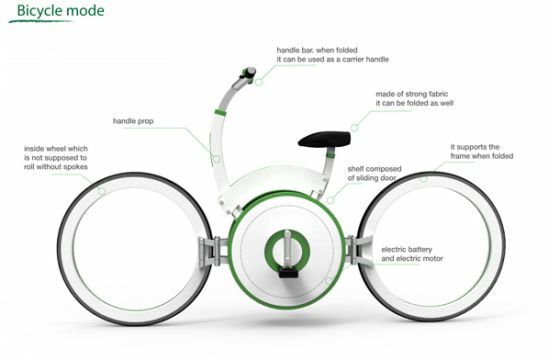 The bicycle is utilizes an electric motor and a battery. 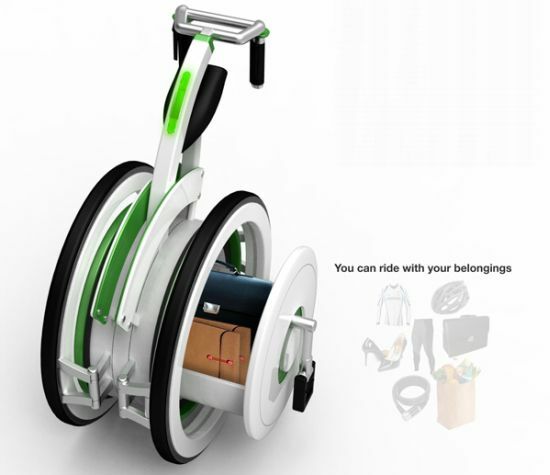 It features spoke-less wheels and a handle bar, which you can also use as a carrier handle. Envisioned by BMW, the E-scooter concept has emerged to fulfill the changing demands of the urban population. This futuristic vehicle works on a highly fuel efficient motor that works on a chargeable battery. The vehicle serves multiple purposes. The BMW E-scooter was funded by Germany’s federal ministry of transport, building and urban development. 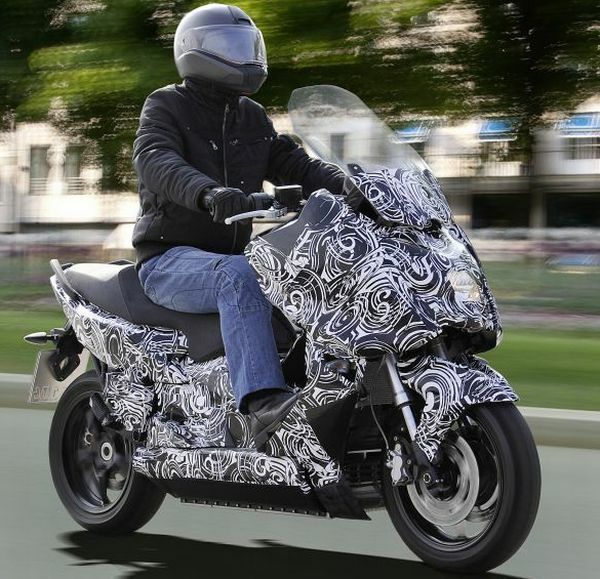 It was developed with two goals in mind: to show performance comparable to a 600cc combustion engine and to work out as a good medium of transport. The main idea behind the creation of this scooter is to offer enough power and speed to climb steeps and can cover 100km in few minutes. BWM used electric motor in the scooter instead of hub motor design because of targeted performance levels in mind. The electric motor is placed in the main structure of body. The electric motor is cooled by liquid, which circulates through the radiator with an electric cooling pump. The battery is of standard quality and is placed in the main body. The best feature of this battery is that it can be charged fully at any outlet in just three hours. The battery is covered in aluminum case, which has mounted electronic gadgets for monitoring battery. It is also air cooled. The E-scooter is fitted with high-quality shock absorber so that it can easily absorb shocks of high intensity.